Planning a party? Firefly is THE party band to hire! Firefly has the experience and expertise to make your party go with a swing. We’ve one of the most varied repertories you’ll find – whether you and your guests love funk, rock n’ roll, soul, pop, rock or jazz, we are energetic, spirited and accomplished, and we can do it all! We will work with you to create your own, individual, party band setlist, as we believe each party is as unique as you and your guests. 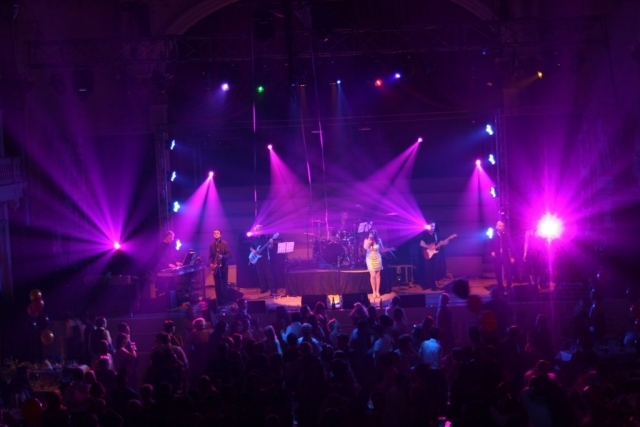 The Firefly live party band show brings your occasion to life with the latest in laser lighting, dance-driving synthesizers and a superb drum and bass section. We guarantee your guests will be strutting their stuff all night long! We have been hired and have played at parties across Gloucestershire and wider afield. From the RAF Coningsby summer ball in Lincolnshire, to Phil Turner’s 40th birthday party in Cheltenham. From Duncan Bannatyn’s hotel in Somerset to the 5 star Royal Horseguards hotel in Whitehall/Trafalger Square London.